Answer these 8 questions and we’ll reveal what should be your go-to formulas for making more money behind the chair. Plus, when you get your results below you are automatically entered to win a Redken Color Gel Lacquers starter kit! 1. What’s the demographic of your clients? 2. What does your ideal day of coloring look like at the salon? Anything rainbow—have you seen my Instagram feed? Classic, all-over color—it’s straightforward, plus these clients are loyal! Traditional highlights or lowlights—I move quickly and it always looks good! Balayage all day—I love creating and playing with dimension. 3. What kind of salon do you work in? I share my chair at a smaller, trendy salon—I love my clients and my co-workers! I booth rent at my salon—my space means my rules! What salon? I’m in a suite! I share my chair at a big salon—we work quickly and efficiently. 4. What’s the ideal location of your salon? Any big city, I hate being bored! A smaller up-and-coming city or somewhere by the beach. LA, Miami or NYC—some place with a cool nightlife scene. 5. What’s your favorite type of music? Anything I can dance to, duh. Cool, low-key indie bands…but my friends would say I like country. 6. What’s your favorite social media platform? 7. Are you friends with your clients? My clients come to me for my skills, not because we’re besties. Yeah, but they only come in every 3 to 6 months, so we can only be so close. I love my regulars, and I have a lot of them! 8. 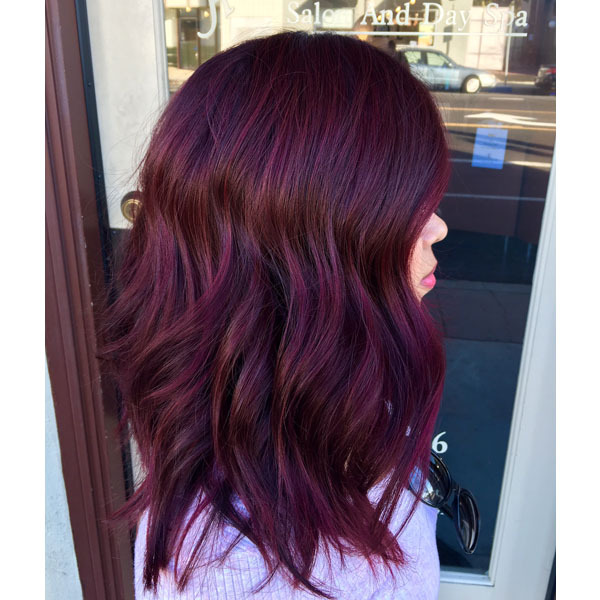 What’s the number one thing you look for in a haircolor product? Does it offer fashion color shades? If not, I won’t use it. Lots of variety, and if it works with my toner that’s a major bonus! As long as it can cover gray, I’m good. I need a low-ammonia, high-impact color that will deliver results safely but effectively. You’re a creative soul with a younger clientele...that means you should be playing with fashion colors behind the chair! Try this Seamless Scarlet Melt—it’s the ultimate red formula for your experimental client with virgin hair at a Level 5, 6 or 7. 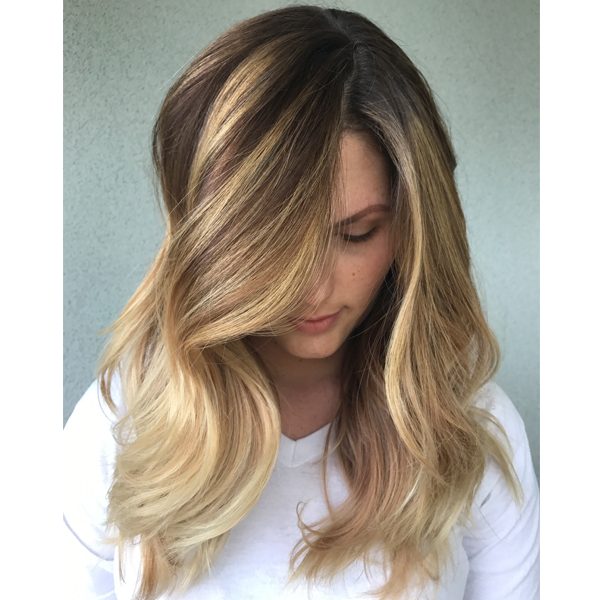 Your clients want an on-trend haircolor, whether it’s a balayage technique or a melted shadow root, you’re always working to create a post-worthy hue. Try this Shadow Root + Iridescent Ash—it’s the perfect formula for highlighted blonde clients looking for that lived-in icy shade they’re seeing all over Instagram. Your clients like their all-over color and their gray hair hidden (who doesn’t!). 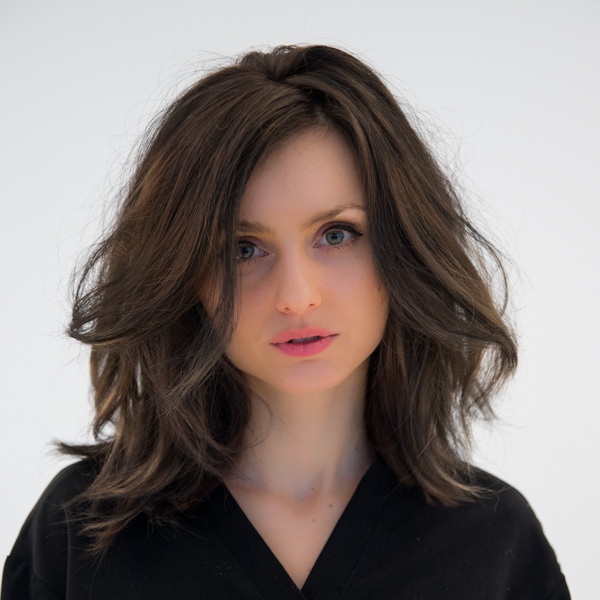 Try this Rich Warm Chocolate Brunette—it’s the perfect formula for covering gray-haired clients and the end result is a beautiful shade of brown. Apply to the new growth for 20 minutes, then pull the color through to the ends for another 10 minutes. Just tell us who you are to view your results AND you’ll be automatically entered to win a Color Gels starter kit!